Sculptors: Philip Lindsey Clark (1889-1974) and J & G Mossman Ltd. (fl. 1816- ). Founders: Mario Manenti (fl. 1921-28). Date unveiled: 9 August, 1924. Pedestal inscriptions altered: 1948, 1958, 1968. The Cameronians (Scottish Rifles) War Memorial stands on the South-West corner of Kelvingrove Park, near Kelvingrove Art Gallery and Museum. It was erected in 1924, to commemorate the officers and men of the regiment who died in the First World War, and was the work of the English sculptor Philip Lindsey Clark DSO, who had served in the conflict as a private and captain. The Glasgow firm of monumental sculptors, J & G Mossman Ltd, was also involved with the memorial, but at a later date, when they replaced its pedestal. The memorial comprises a bronze group of three soldiers on a stepped rectangular pedestal of grey granite, with inscription panels bearing its dedication to the regiment's dead in both world wars, and the names of the battles they fought in set into its sides (the panel for the Second World War was added in 1948). A frieze of laurel leaves in polished granite runs around the upper half of the pedestal. The bronze group vividly recreates a scene that has become a defining image of the war in the trenches: the 'advance over the top' into the killing ground of 'No Man's Land'. The advance is represented by a sergeant (symbolising 'Victory') emerging from a trench and running past a fallen officer (representing 'Sacrifice'), whilst another soldier covers the advance with fire from a Lewis gun ('typifying that dogged determination to succeed � for which our men were so remarkable'). The group was cast at the bronze foundry of (Giovanni) Mario Manenti, at 416 Fulham Road, London. The unveiling ceremony was held on 9 August 1924, five days after the tenth anniversary of the outbreak of the war, and was attended by thousands of onlookers who gathered around the memorial to see it unveiled by Field Marshall Earl Haig of Bemersyde, the Commander in Chief of the British army during the war. According to contemporary accounts, the ceremony�s high emotion and oppressive atmosphere caused some women and girls in the crowd, and at least one soldier, to faint. The memorial was erected as the second part of a three-stage plan to commemorate the regiment in the city, the first part being a memorial tablet placed in 'The Cameronians Corner' in Glasgow Cathedral, and the third being the forming of a Regimental Memorial Club.' The entire memorial scheme was estimated to cost �7000. Years later, the memorial�s pedestal underwent several alterations. In 1947, Colonel W.K. Rodger, the Secretary of the Cameronians 1939-45 War Memorial Fund, organised the addition of the inscription commemorating the regiment's casualties in the Second World War, and a spruce-up and repair of the memorial. Further repairs and alterations were made in 1958, when the memorial acquired a new pedestal of grey granite after the original one built of sandstone had become badly decayed. This was the work of J & G Mossman Ltd. A further decade later, an inscription panel recording the disbanding of the regiment was added to the pedestal in 1968. More recently, the memorial was restored, cleaned and repainted in 2012. A forgotten Cameronians tribute: At the time the memorial in Kelvingrove Park was erected, there was another memorial to the regiment's valour in the war already in existence in Glasgow. 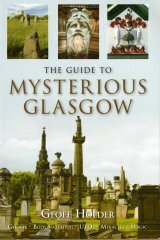 This was also in Kelvingrove Park, on Park Terrace, and it has long since been lost and forgotten. It was a German Howitzer which had been captured by the regiments' 5th Battalion near the village of Cl�ry-sur-Somme in France, on 9 October 1918. The gun was one of a battery of howitzers and their teams which were taken during a fast, 12 mile advance through the German lines to Cl�ry during the Second Battle of the Somme (the regiment also saved the village�s historic church from being deliberately blown up by the fleeing Germans, for which the villagers later erected a plaque and renamed its main square �Place d��cossaise� to commemorate the event). After being returned to Britain as a war trophy, the gun was presented to the city in 1919 by Hugh B. Spens, the battalion's commander during the war, as a tribute to the men of the battalion who had been recruited in Glasgow and who had taken part in the gun�s capture. According to Spens, almost the entire battalion was made up of Glasgow men at the time. The gun was placed on Park Terrace, within the park gates, near the statue of Lord Roberts and three trophy guns from the Crimean War, and stayed there until it was returned to the regiment around the outbreak of the Second World War (in which it played no part). The gun had narrowly escaped being sold off in 1928, when Glasgow Corporation attempted to remove all war trophies from the city�s parks, and was saved in-part by the efforts of Spens in pleading the case for Glasgow retaining the gun as an object of historic interest. Since the guns� eventual removal some years later, it has completely disappeared. Unfortunately, no detailed photographs appear to have survived of the gun in Kelvingrove Park. Memorial plaques on the monument and the sculptor's signature. A rare view of the original sandstone pedestal. This was replaced in 1958, by J & G Mossman Ltd, after it had become badly weathered and unsightly. (With the present-day pedestal shown alongside).